"Creating Customers for Life" is Groupware Technology's vision. Dawn McCale epitomizes the dedication to achieving that vision. She is a proven sales overachiever and leader who has always exceeded her sales goals throughout her career. Her roster of customers includes technology leaders that have been with her during all 20 years of her career. Her steadfast dedication to her customers' success has been praised by her peers as well as the customers themselves. Additionally, as numerous associates of hers have marveled, Dawn truly cares for her customers beyond just the workplace, remembering names of their family members, birthdays and numerous other milestones of their lives. Currently, as Groupware Technology's Vice President of Sales for Named Accounts, Dawn leads a team responsible for some of Groupware's biggest accounts such as Apple, eBay, PayPal and Symantec. Under her leadership, Dawn's team has consistently increased year over year sales on behalf of Groupware's Rack and Roll practice. 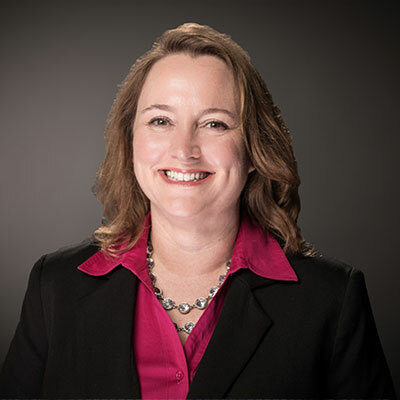 Prior to Groupware, Dawn held sales roles at Dell, Arcscale and Hitachi Data Systems. In all of her previous positions, Dawn exceeded her sales goals. She graduated with a Bachelor's degree in Sociology and a minor in Psychology from University of California at Davis. My top goal is to continue growing our customer base through organic growth as well as expanding my team to accommodate that growth. I'd like to continue growing into new territories and accounts. My team is laser focused on customer service and ensuring our customers have an excellent experience with Groupware. We are constantly meeting with key customers and stakeholders and getting feedback for how we can continue to help their business with technology solutions that enable them to achieve their mission-critical objectives. "Creating Customers for Life" is Groupware's vision and is what I strive for with every customer interaction. I received a prestigious professional honor in 2017 when I was named one of CRN's Women of the Channel honorees. My accomplishment in growing Groupware's Rack and Roll practice year over year, as well as my commitment to my channel customers and their successful deployments were key to achieving the WOTC honor. I am also a mentor to up and coming women in the tech industry. My quotes on the critical importance of female mentorship were featured in a December 2017 CRN article. I admire Theodora, who was a highly influential Empress of the Byzantine Empire and a saint of the Eastern Orthodox Church. As the wife of the Emperor Justinian I, she ruled by his side as his partner, and her intelligence helped to advance the Empire. She was one of the most influential women of the ancient world and a champion for women's rights. Among her accomplishments were getting laws passed which prohibited the trafficking of young girls, as well as laws that gave better benefits to women in divorce proceedings. Theodora was an activist way ahead of her time! The most important advice I would give my 16-year old self is to be kind to yourself and to others. No one else will be as kind to you as you can and you deserve every kindness. Conversely, no one else will be as unkind to you as you. If you treat yourself well, you will have the ability to treat others well in kind. This will take you far in life. Other advice I have given to my teenagers is to know who they are and to do the right thing. Follow those guidelines and they can't go wrong. I would definitely like to be a master at networking. In sales, that is something we are always in the practice of doing, to expand our touch points and networks that help us serve our customers better. Being a master at networking would enable me to extend my reach beyond my current customer and partner channels. Being more comfortable with networking would allow me to expand my personal and professional circles and in many cases, the two could function with and within each other. "When Fish Fly" by John Yokoyama is about the magic of the World Famous Pike Place Fish in Seattle and shows a dynamic example of what people can create when they are aligned and living a powerful vision. Owner John Yokoyama explains how his business went from being almost bankrupt to becoming one of the most successful customer experience organizations in the world. He talks about BEING the VISION and not just doing a job. The principles behind the World Famous Pike Place Fish show how to develop a culture that leads to excellent employee morale and customer service.